Often pushed aside, link building should play an essential part in an organisation’s wider digital marketing strategy. Link building is (and always will be) a major factor in how Google ranks web pages. You may have heard that you no longer need links to rank, that having great content builds links organically or that Google no longer uses links… We’re here to tell you not to listen to that codswallop! “Link building is without a doubt the most often misunderstood part of the digital marketing mix” – as quoted by Matt Sawyer via Econsultancy. For those who are new to link building, we’ll let Moz define it for you: “Link building is the process of acquiring hyperlinks from other websites to your own. A hyperlink (usually just called a link) is a way for users to navigate between pages on the internet. Search engines use links to crawl the web; they will crawl the links between the individual pages on your website, and they will crawl the links between entire websites”. 5 years ago, Google introduced an essential algorithm update and named it ‘Penguin’. Pre-penguin, the premise of link building was based on the number (quantity) of backlinks that your website received from any other website (whether that site was authoritative or not). Post-penguin, the algorithm adapted this link building method to mean that link building is now measured on the quality of the backlinks you receive to your website. ‘Trustflow’ (provided by Majestic) is our preferred metric for measuring link quality. Trustflow is based on the number of links from high-authority websites, as well as being based on the proximity of your own website is to these authoritative websites. Majestic has one million websites that they consider to be first-rate and of the highest degree (known as the ‘Majestic Million’). Majestic’s algorithm works by, for example, if your website were to receive a backlink from one of the Majestic Million, your site’s trustflow score would be much higher than that of a competitor (provided that competitor didn’t also have that link, of course). The Majestic Million list contains websites such as The BBC, Huffington Post, Buzzfeed and The Telegraph (and so forth). These sites are highly authoritative and are mainly editorial sites which are hard to earn coverage from. Google’s recent patent application is shifting the traditional link building model towards a model that is extremely similar to the Majestic Million and Trustflow. The application is based on a site’s proximity to ‘seed sites’. Seed sites are pretty much exactly like the Majestic Million, just with a few different factors incorporated to make that site a ‘seed’ site. Google and Majestic are almost perfectly aligned in their thinking and their ongoing link building strategy. They both target ‘seed sites’ or the ‘Majestic Million’, which are all sites that are high-quality and authoritative. 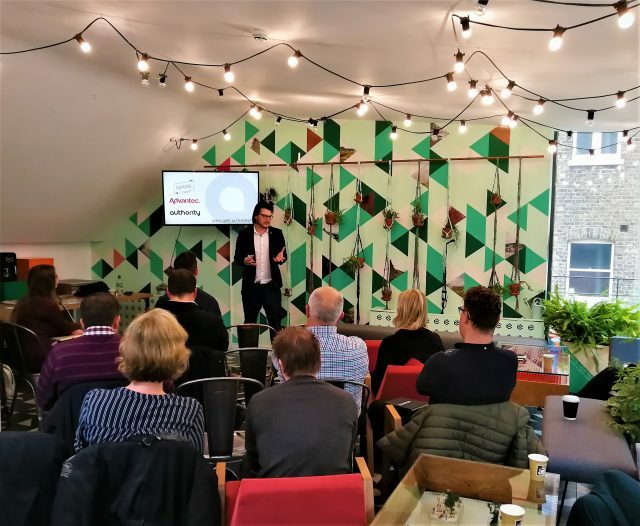 Our sister agency, Authority, held their first Future of SEO Masterclass on the 6th of November 2018. As part of the presentation content, Authority covered link building – we’re finally seeing a positive comeback for link building as part of an organisation’s wider SEO strategy (and so we should be)! Authority are Digital PR experts, having received backlinks for their clients (of all shapes and sizes) for over 20 years from some of the best and most authoritative websites. Their recent case studies include backlinks from Elle, The Telegraph, Byrdie and Glamour Magazine. For a more extensive overview of what the future of link building looks like, see Matt Sawyer’s post on Econsultancy here. You may have noticed a few cheeky backlinks of our own in this blog post (all underlined)!